Here are some album covers that I worked on a while ago but never got round to properly finishing. One is for a sort of "hard rock" cover (a bit of GIMP work on the background) and the other is more "trance" (all AD) but using the same logotype. The logotype was originally Times New Roman - I'm fairly sure of that - but AD made the modifications pretty easy, for the most part anyway. Neither is particularly Earth-shattering or anything like that but I thought I'd post them in case they were interesting to anyone (and before I completely forgot about them). P.S. The band name is fictional and not related to any existing band with the same name (I just thought it made some nice shapes). Fire in the Sky appeals to me in the sense of shapes and colors and harmony. Chocolate, on the other hand, is a little unsettling and I can't articulate why. So, two very different viewing experiences. Thanks for sharing them. For "Fire" I think I went for a fairly bog-standard "first studio album" sort of look. As if the record label didn't want to spend too much on a new band. For "Chocolate" I'm pretty sure I was trying to make some kind of juxtaposition between the mad splotches and angles of the logotype against the dreamy smooth background. Like going from a rave dance floor into a chill-out room. Or something like that. The "jarring" was deliberate but there's a good chance I went too far. If they help to nudge someone into trying something similar of their own then it's been worth posting them. 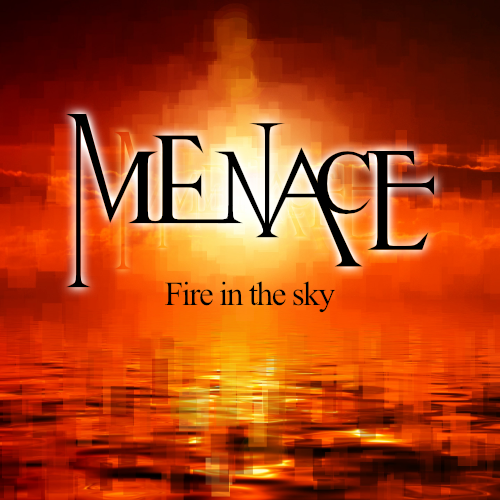 I think the Fire in the Sky sub text font pairing looks better with the logo than the chocolate drop font. Something about the second one fights against itself. Number 1 gets my vote. I would agree. The "Fire" cover is a more 'complete' thing than the other. 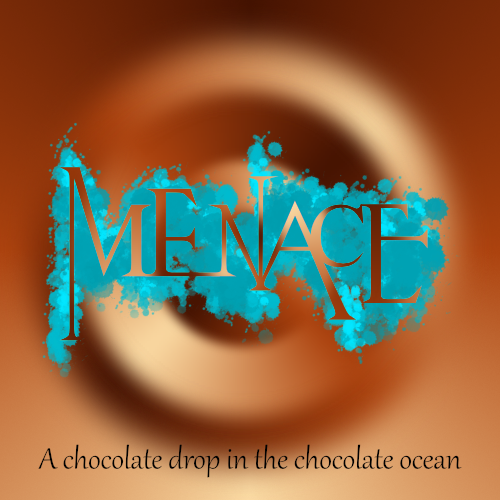 I think the "Chocolate" title font goes with the background - smooth and dreamy - but not with the logotype. The whole idea was a little exercise in "What can I do with this logo?" rather than anything serious but these things do need to be considered and it's worth pointing them out. There was a third cover which I thought used the logo better but, considering recent events in and around the US, I didn't think it was appropriate to post (these covers were made ages ago).